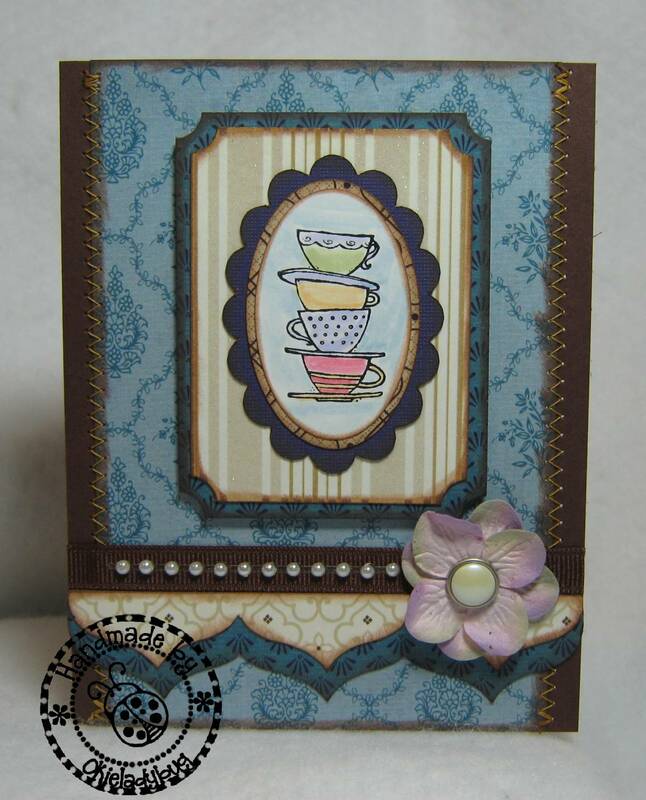 You guys may get tired of seeing cards with this Stampin Up set because I really like it! Besides I want to make sure to get my money's worth. But I have to tell ya the new clear stamps are a few bucks cheaper and so much easier to store! I used the adjustable scallop oval .cut file that I designed sometime ago for the scallop oval. I actually have a circle, rectangle, square and heart .cut files that are scalloped and adjustable if you would like to download those. They are all made with George and can be copy and pasted if you want to cut more than one at a time. 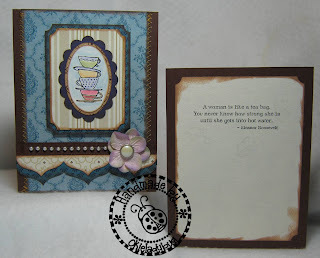 I adjusted a plain oval to be 1/4" bigger than the punched image and then layered the ovals. I did ink the edges of all the layers. I cut the rectangle mats at 2.25 x 3" and then 2.5 x 3.25" and used the Ticket Punch on the corners. Oh yes and then the rectangles are pop dotted. Yeah yeah I know BIG SURPRISE! *okie rolls her eyes at her smart aleck readers* I guess I a pretty predictable sometimes. Straight From The Nest was used for the border along the bottom. 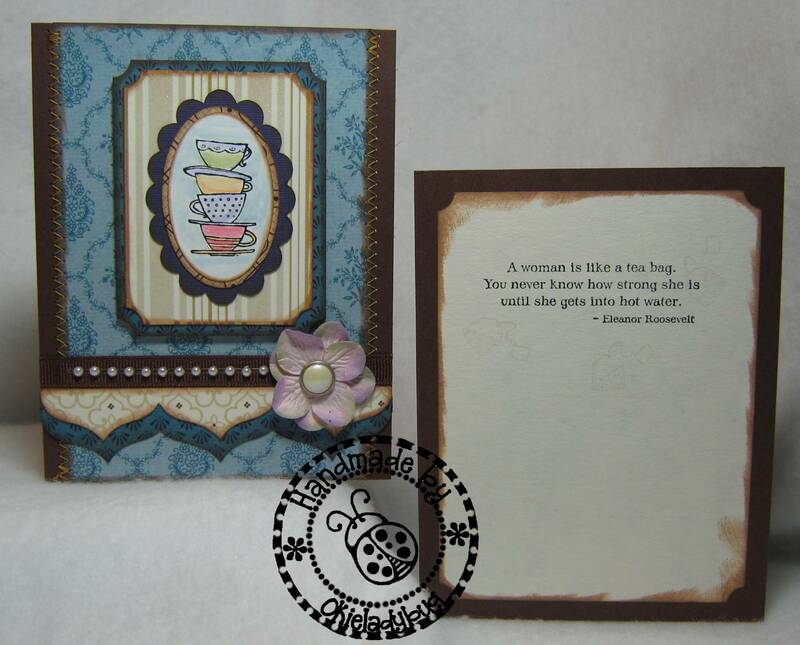 For the larger border I used two images and nudged and welded them together so the borders would have a layered effect. I tought about adding some small pearls to the points on the border but then I forgot *okie shrugs and wonders if she is suppose to remember everything*. I layered two of the Primas and then added the pearl brad to the center and then added the pearl strip on top of the ribbon. 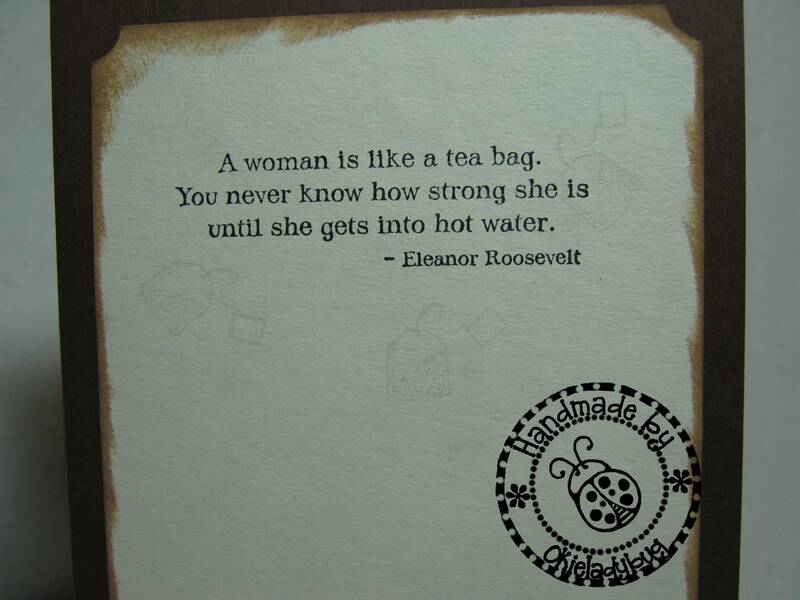 I used a Versamark pad to stamp teabags around the sentiment. I wanted to add a little embellishment without taking away from the sentiment and I think this method just helped enhance the sentiment and card theme. You might need to click the picture to see the teabags in the background. I think this card could be used for a birthday, thinking of you or a congrats card. I guess that is why I like this sentiment so well, it is just pretty dog gone versatile! Great card!! I love the pearls and the flower.........ok I just love everything about it!! 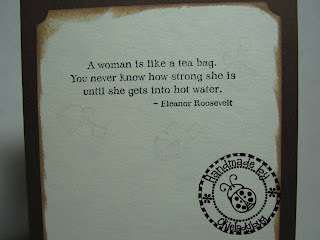 Love this card ... the papers, the inking ... and the faint imprint of the teabags on the inside is perfect! Another beautiful creation! Oh this card is so true Okie you are the greatest. What a wonderful sentiment! Its a beautiful card. great card and I soo love the teacup stamps!! Does the Janome Sew Mini have the zig zag stitch on it? I thought it just did a straight stitch. That stamp is so cute and you put a lot of work into the front of this one! I gotta go see if I ever downloaded the adjustable scalloped oval file! Yes it has zig zag, 3 different sizes! Good grief Linda did ya NOT watch the video??? Are you and Linda sisters? 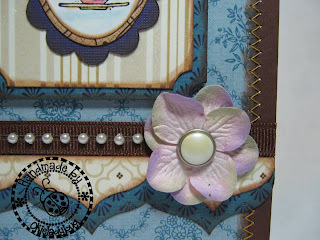 Love your cards with the new stamp set, the colors are so pretty and you are so creative with all the inks, flowers, etc. Thank you for taking the time to post and share, you're the best!!! !